You know that your company is driven by your customers. You can have a cool product, but you can have a good accountant but without any revenues, they become obsolete. You can have a good lawyer but without any growth, you might as well cut them loose. This is all to say, in order to be profitable, you need a strategy for continued growth. Once you create that foundation of sales, marketing and solid strategy, what is the next ingredient you need to grow? As you embark on your path of growth, your human resources are going to be what differentiates you in the marketplace. As your company grows, recruiting skilled people who will stick around becomes the priority. Can you imagine having companies attract people you wanted with higher salaries and other perks? When you’re in hospitality for example, having an ideal Manager, capable of creating a memorable experience, is what’s going to make your hotel a cut above the rest-leading you to continued growth. So what does your business do? If you’re looking to grow, and looking to increase market share, you need a great human resources strategy. If you can’t compete on salary, offer perks and benefits. If you can’t offer much in terms of financial benefits, do you know what the alternatives are? If you’re looking to grow your company, you need good people to do it. You need to make sure that you keep looking out for key people as part of your team, as well as treating your existing team members well. What are you doing for your employees? 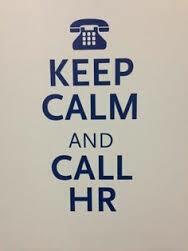 Why Do You Need HR? Did you know that the average cost of a bad hiring decision can equal 30% of the individual’s first-year potential earnings? Also, that 80% of employee turnover in small business is due to bad hiring decisions? Small businesses make up 98.2 percent of employer businesses. Individuals are becoming more self-sufficient and independent apart from big businesses. The emphasis is on information over advice. However, when it comes to the people side of your business, you need someone you can talk to. Just like adding an ingredient can make your dish better, trying that same dish without that key ingredient can be a recipe for disaster. Make sure HR is an ingredient in the growth of your business. If you are a small business and would like to stop losing time and money on future hiring mistakes, tweet me on TWITTER, like me on FACEBOOK join me on LINKED IN – and let’s talk. Check our Human Resources Consulting services . « Have You Hired A Thief In Your Business?